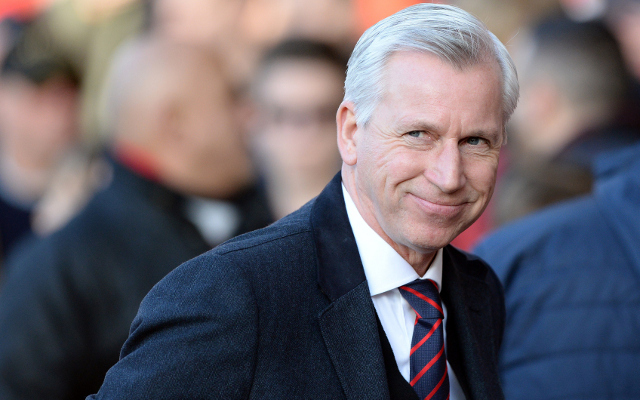 Crystal Palace manager Alan Pardew wants to employ more Asian, black and ethnic minority coaches. Ahead of the Eagles’ home match against QPR, Pardew praised the promotion of R’s manager Chris Ramsey from his initial caretaker role, admitting that Palace should look at employing more non-white coaches. Pardew said, “Chris is black – it is great for the Premier League to have a black manager. It is something I want to promote here in terms of our coaches. The percentage of players we have to the percentage of coaches in terms of origin isn’t right. “It’s important to promote coaches. The proportion of African/Afro-Caribbean players to coaches is not right. “It’s something that needs to be spoken about, we need to work on it as an FA, as chairmen up and down the country, we need to give them more chances. “I do feel that a lot of black players or Afro-Caribbean players don’t go on the coaching courses. Perhaps they feel it won’t help them – but it will. The Crystal Palace manager insisted that tomorrow’s game is bigger for QPR, who currently sit in the drop zone, than it is for his own side, who could move 11 points away from danger with a win. Despite making mistakes which have resulted in goals against Liverpool, Arsenal and Southampton, Pardew also affirmed his commitment to number one goalkeeper Julian Speroni, claiming he was “untouchable”. Elsewhere, the Eagles will be missing Marouane Chamakh, Frazier Campbell, Jordan Mutch and Chung Yong-Lee with injuries, while captain Mile Jedinak is still suspended. Strikers Glenn Murray and Yaya Sanogo are both available for selection though.